After months of katana-waving mayhem and Titan destruction, Atari, one of the world’s most recognized publishers and producers of interactive entertainment, announced today that its MOBA-like third-person shooter Minimum™ has exited Steam Early Access and is now available as a full release. Starting today, until September 17th, Minimum will be on sale for 50% off and available for $4.99. 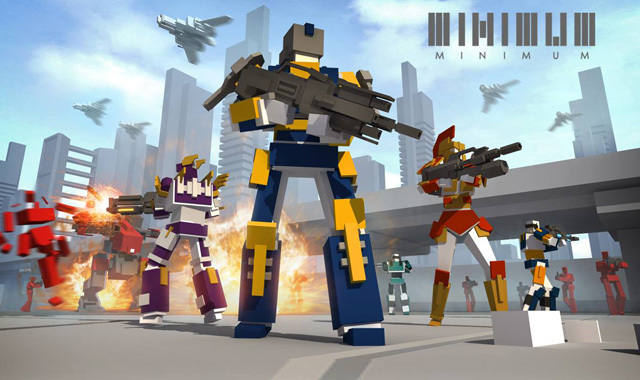 With full release, Minimum combatants can now team-up with other players in the new game mode, Co-Op Horde Mode, to fend off waves of fiendish block foes while defending strategic map points and seeing how long they can survive.